Key difference: A foster parent is a person who has been deemed responsible enough to take care of a child in the foster care system. A guardian is someone who is legally responsible for the child, and can make decisions on their behalf, at least in the eye of the law. A child has parents; this is something that is nearly accepted as given. Ask someone to think of a happy family, and they’ll imagine a mother, a father, and a child (or perhaps two). However, not all families fulfill this criterion. Some families don’t have a father, others don’t have mothers: yet the saddest scenario comes when there are kids who don’t have parents. The reasons behind this can vary from something happening to the parents, to cases where the parents don’t want the baby. In these kind of scenarios, the children are generally appointed a foster parent or a guardian. The child usually stays with the foster parent or guardian, who is held responsible or accountable for the care of the child. However, the two are very different in terms of the power that is afforded to them. A foster parent and guardian also has different rights when it comes to the care and control over the child. When a child has nowhere to go, they are often put into the foster care system. This is a system created specifically with the purpose of taking care of children that have nowhere else to go. In most counties, the foster care system, if there is one, is under the command and control of the government. It is responsible for looking after the children as well as getting them placed in homes where they will be looked after. The system is also responsible for ensuring that no harm comes to the children that are in their care and that their needs are met. However, depending on people or the resources that are available to them, the systems are nearly always struggling to meet their requirements, and have faced a lot of flak for failing to help children. 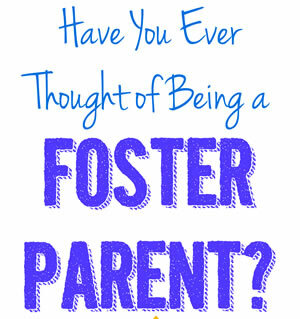 A foster parent is a person who has been deemed responsible enough to take care of a child in the foster care system. One or more foster care children can be placed in the care of a foster parent. In most cases, the foster parent may get some monetary benefit from the foster care system or the government to help them cover costs. However, the foster part has very limited legal responsibilities in term of the child. They are primarily only responsible for ensuring that the child has a roof over their head and is fed and clothed. Most of the legal responsibilities of the child are taken care by the system or the government. A guardian, on the other hand, is different. A guardian is someone who is legally responsible for the child, and can make decisions on their behalf, at least in the eye of the law. This is similar to how a parent is responsible and makes legal decisions on the behalf of their child, at least until they are a minor. In most cases a guardian is someone in the family, or a good family friend that personally knows the child. 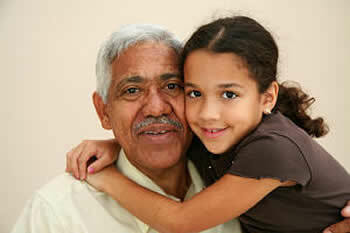 In some cases, parents appoint someone as the child’s guardian in their will in case something happens to them. In other cases, a guardian may be chosen from among the child’s closest relatives by the law. Usually, the child resides with the guardian themselves, who also take care of the child, including providing them with a home, taking care of them, and ensuring that they are fed and clothed. However, in some cases, the guardian may be different than the primary care giver of the child. For example: a family friend may take care of the child, but a lawyer may be appointed as the child’s guardian by the law. This is usually in special circumstances, such as if the child needs special care, or in cases of trust funds, where people may try to take advantage of the child. In cases of foster care, it is common for a child to have both a foster parent, while a guardian may be appointed for them by the law who will handle all the legal decisions of the child, while the foster parent will provide the child with care. If a child is with a foster parent for a long time, and both the foster parent and child agree, then the foster parent may also be appointed as the guardian of the child. This is often a step before legal adoption, if both the child and foster parent want it. Foster Parents are people who are the primary caregiver for a child who has no one else. A guardian is someone who is legally responsible for a child. Commonly a person the child knows. Maybe a relative of the child, a family friend, or someone the parents trusted. Usually cannot make legal decisions on behalf on the child. Unless the judge makes them a guardian. Can make legal decision on behalf of the child.